The annual Economic Impact of the Nonprofit Cultural Arts Community in Northwest Louisiana is $90 million dollars, with 2,400 full time job equivalents, $55 million in household income, and returning $13 million in local and state government revenue. Christmas in the Sky specifically generates a $12 million dollar impact with ancillary spending that includes more than 100 hotel room rentals, the purchase of designer dresses and gowns, tuxedo rentals, hair and makeup, and limousine rentals. 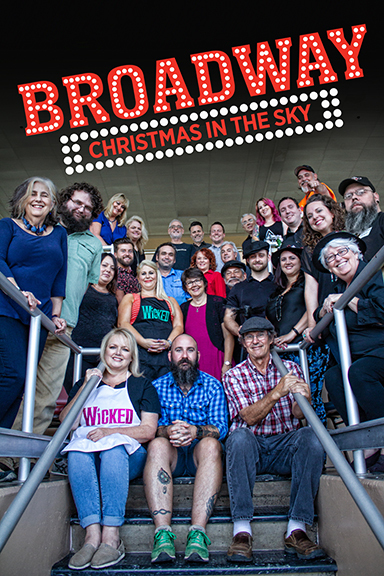 CHRISTMAS IN THE SKY is created by a team of 31 professional designers – artists, interior designers, architects, and display professionals – from all over Shreveport and Bossier who volunteer their time to bring this extraordinary event to life!! Harrah’s Louisiana Downs is transformed to completely convey the theme of the event from the moment a guest pulls into the valet parking, to the lobby, and throughout two floors of the Racetrack. Much of the event is built “on site” because the sets are so large (each piece averages 16’ tall by 8’ wide). Diesel Driving Academy delivers 10 “Big Rigs” filled to the brim with Supplies and Materials! Christmas in the Sky generates funds to support important community Arts Programs produced by the Shreveport Regional Arts Council for Northwest Louisiana. The Shreveport Regional Arts Council (SRAC) mission is to “Imagine That!” by developing, promoting, educating and maximizing access to all of the Arts for people in Northwest Louisiana. SRAC is committed to ensuring that the Arts are included in the portfolio of solutions to community problems and community growth. In order to achieve this “place at the table” the arts community must be equipped to do the work and unified to express meaningful resolutions with one voice. SRAC’s renowned core programs include: Arts-in-Education programming (39 years); ArtBreakStudent Arts Showcase (34 years); Distribution of Grants and Capacity Development for Artists and Arts Organizations (37 years); artspace, the center for the creation, exhibition, and presentation of all Art disciplines with Academy Award Winner, William Joyce as Artistic Director (15 years); and Public Art (18 years). SRAC has received national recognition for its award-winning Artists Entrepreneurial Training Program, “ARTIST UP!,” that equips Northwest Louisiana Artists to earn at least 30% of their living through the production and distribution of their art. Nick Cave’s impact lives on in Shreveport Common through a trail of 20 Cave inspired and community “Bead-A-Thon” created blankets that are now framed and permanently displayed throughout this creative community. In addition, SRAC enlisted the work of nationally-known and Dallas-based mixed media artist Lesli Marshall to work with eleven Northwest Louisiana artists to create twelve Uncommon murals that now adorn historic buildings in the Shreveport Common neighborhood as a part of an ongoing effort to transform and revitalize this creative, cultural UNCommon neighborhood. The Shreveport Regional Arts Council is also highly regarded for the complete historic preservation projects: the restoration of the 1922 historic Central Fire Station to become the miraculous Central ARTSTATION; the restoration and reimagining of the “Hose Tower” adjacent to the Central ARTSTATION to become the Kallenberg Artists Tower (KAT) that hosts nationally renowned artists to do residency work that improves the Northwest Louisiana area; and the multi-phased renovation of the historic Woolworth Department Store and first of the Ivan Smith Furniture Stores: ARTSPACE @ 708 Texas Street.